Case of 144 pairs. Clear temples, clear lenses. 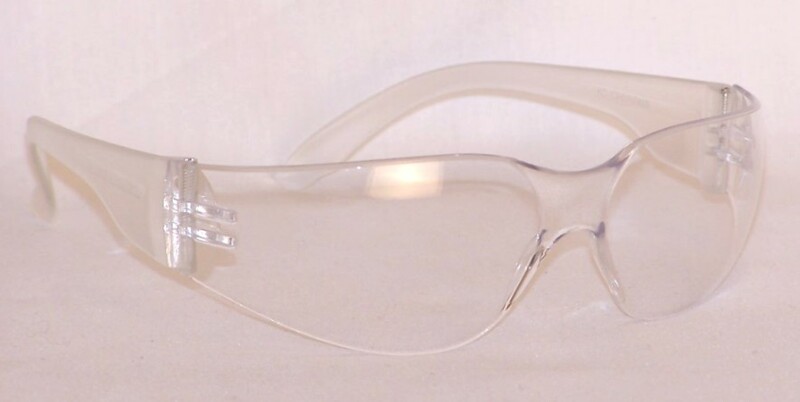 Shatter resistant, polycarbonate lenses that shield 99.9% of UVA and UVB light. Zero distortion lenses. Precision engineered to provide superior visual clarity. Polycarbonate temple in a sleek design. Hugs contour of your face for maximum protection. Light and comfortable fit. Frame-less . Sporty and stylish, with wraparound lenses for maximum visibility. 5.25" width from temple hinge to temple hinge. Molded-in nosepiece. Hard coated, scratch resistant lenses. Meets ANSI Z87+ safety standards. 12 Dozen pairs. Calculate out the great price per pair! That's about $0.94/pair when you buy 1 case .